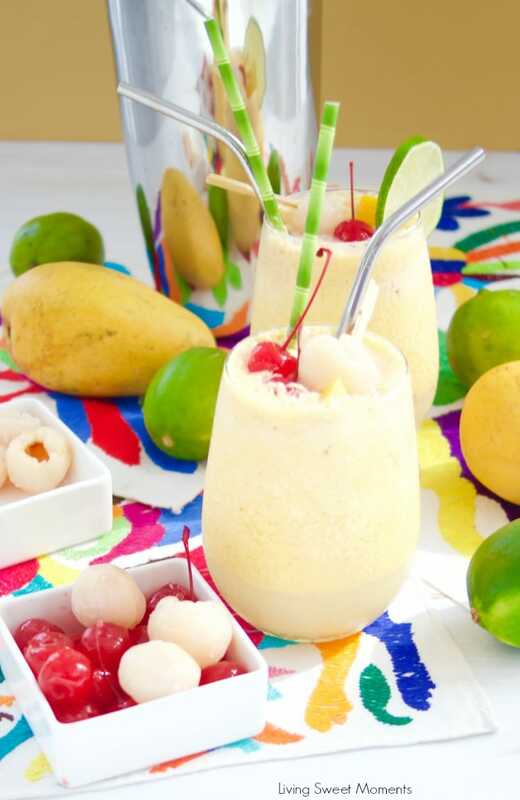 These refreshing Mango Lychee Wine Slushies have a touch of ginger and lime to give your summer drinks a new twist. Perfect for pool parties & celebrations! 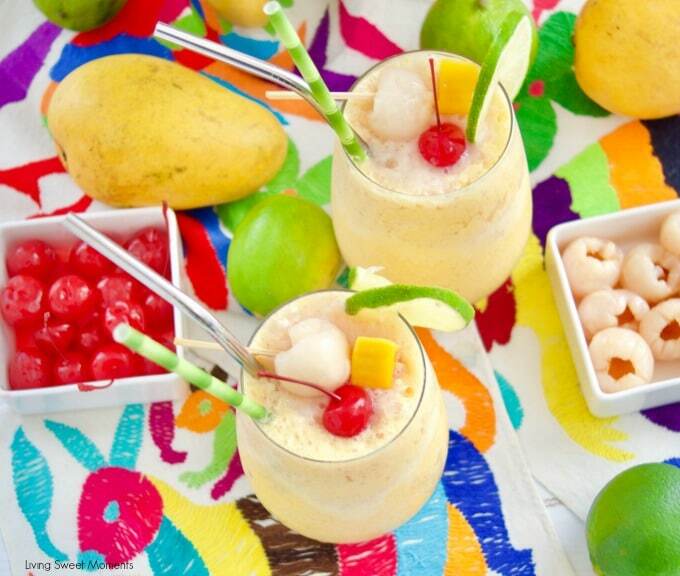 A sip of these Mango Lychee Wine Slushies and you’ll be traveling to your favorite island destination, no matter the season! No passport needed. Just make sure your guests are over 21. 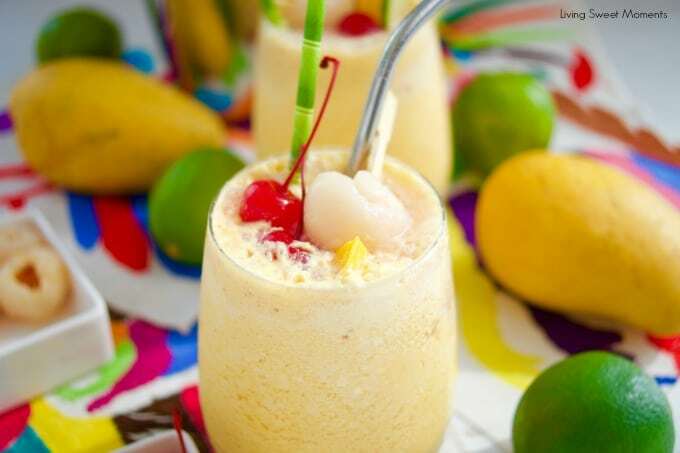 Imagine a delicious and creamy mango slushy made with San Bernardo ice cream with a touch of lime that gets topped with a sweet icy lychee ginger slushy. All blended with wine of course. 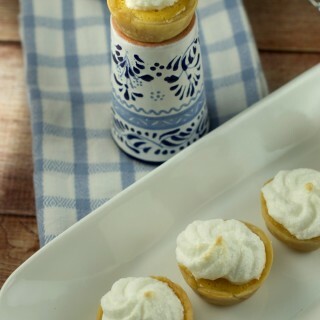 For the mango part, I used San Bernardo Mango Fiesta Ice Cream. It’s so good! 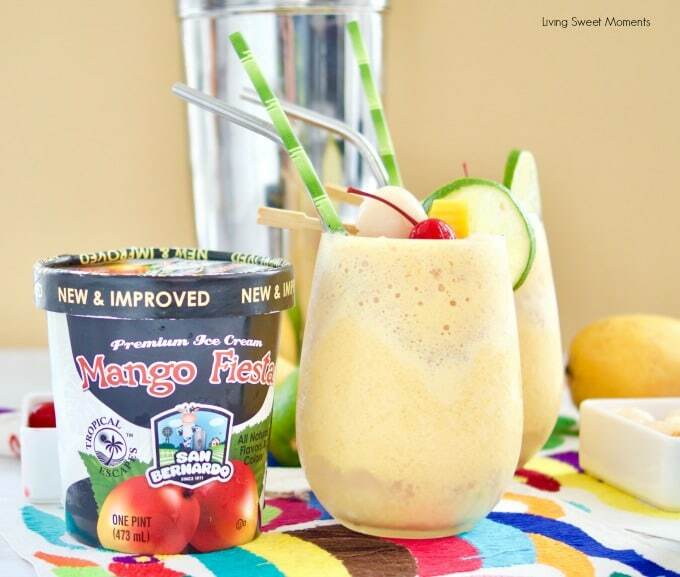 It’s made with pure mango puree, contains no artificial flavors or artificial colors and no high fructose corn syrup, making it stand out from other brands. All San Bernardo ice creams are made with only All-Natural ingredients and contain 20% Less Sugar and Fat and also rBST Free. 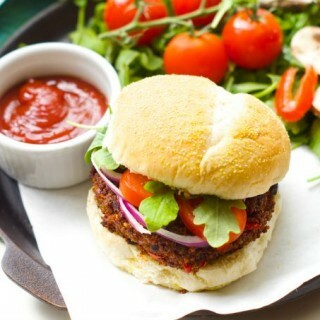 Indulge and don’t feel slightly guilty. The ice cream stays creamy even when you take it out of the freezer, so it’s scoop-able and perfect to eat anytime. 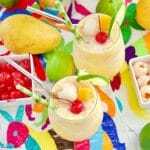 They have other tropical flavors like Loco 4 Coco®, Guanaban-ahhh®, Guava Have More®, and more – The Guava Have More has cream cheese swirls and it tastes just like a Cuban pastelito. You can eat out of the containers or make some cocktails as I did. Plus, I even went “Green” and found these cute paper bamboo and metal straws that can easily be recycled! 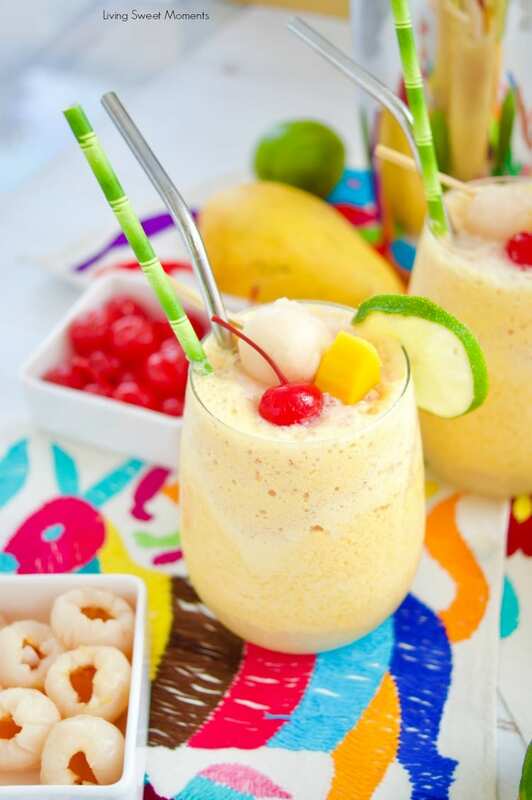 Here in Miami, the Summer may be over, but it’s still hot and of course, humid, so these Mango Lychee Wine Slushies are the perfect adult way to relax and have some fun! 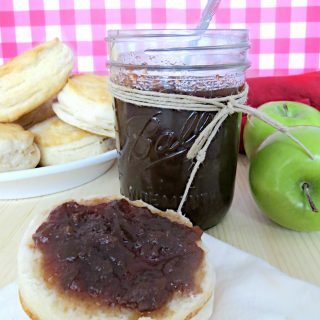 You can even replace the wine for a juice to make them kid-friendly. Plus, San Bernardo is locally based in Florida! 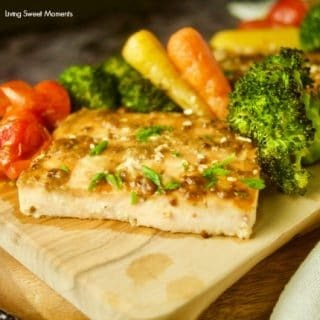 SB is essential to have in your freezer and can help bring the fun to any festivity. So, what are you waiting for? 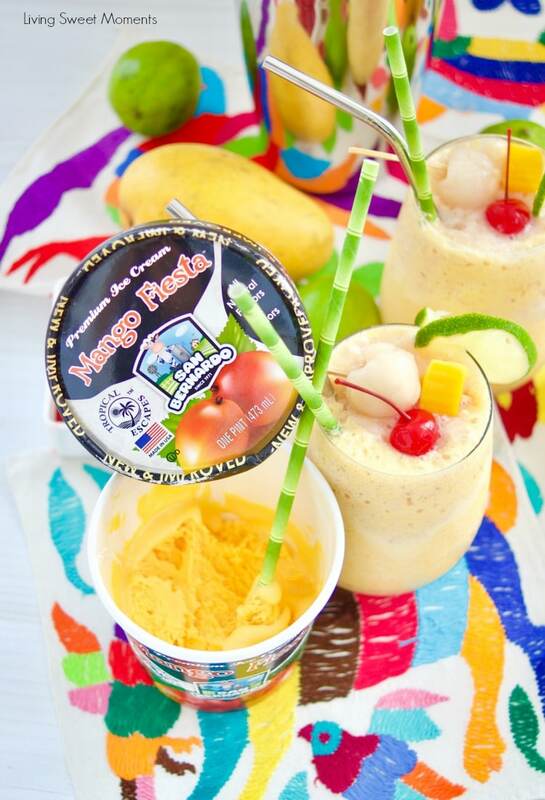 Get online now and get a few pints of San Bernardo Mango Fiesta Ice Cream. I promise you won’t be sorry. 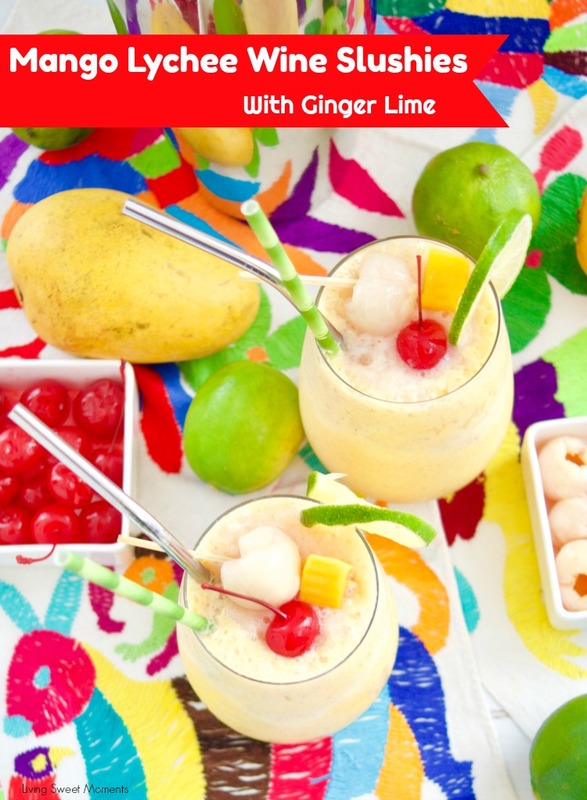 I hope you can try these delicious Mango Lychee Wine Slushies with Ginger Lime at home. 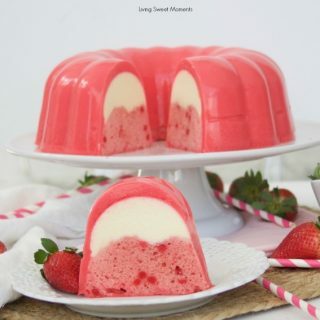 If you do, please upload a pic on Instagram and tag me @Livingsweetmoments or use the hashtag #LivingSweet and #SpoonThis. You add more or less wine to suit your taste.